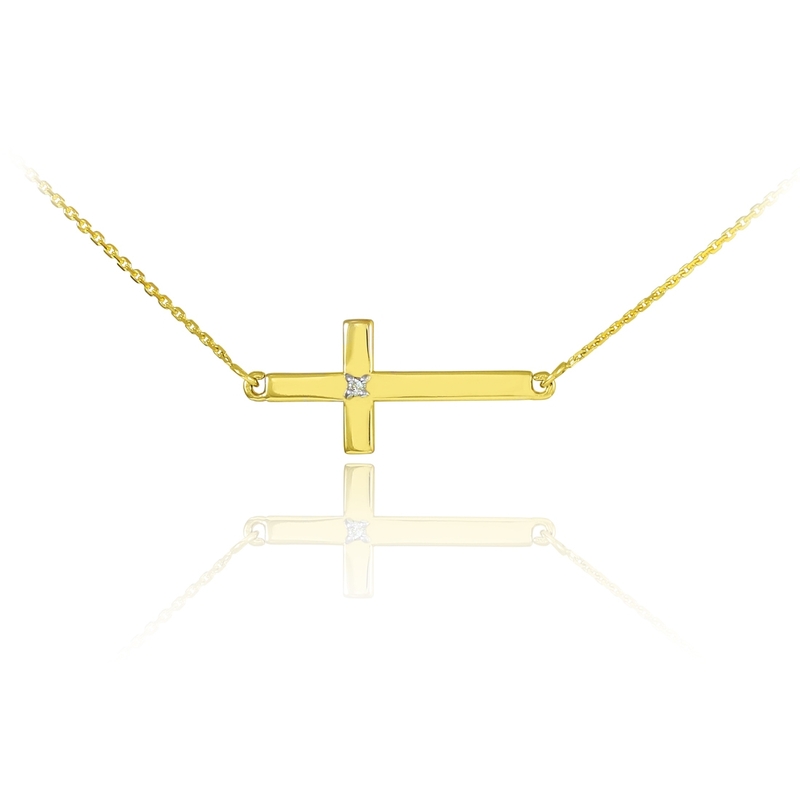 The Sideways Cross is a symbol of humanity. It is the representation on resurrection, Christ has risen from the cross and thus the cross is token down. It is seen often being worn by celebrities like Selena Gomez and Jennifer Lopez. 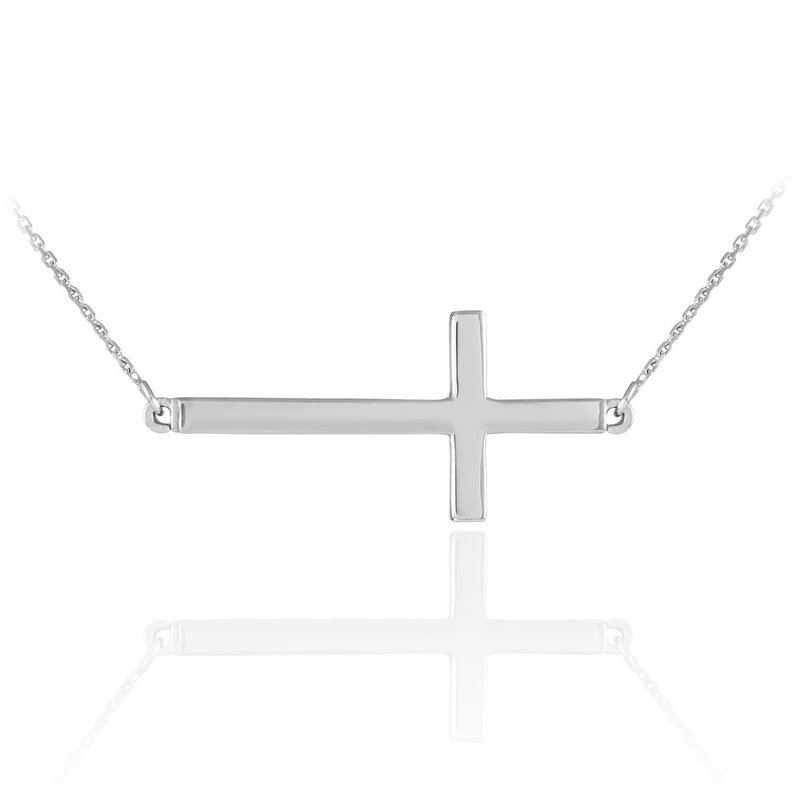 It has become very trendy and fashionable as well as a symbol of faith. Available as a necklace, bracelet,or ring, there is a piece of jewelry to satisfy any ones taste. 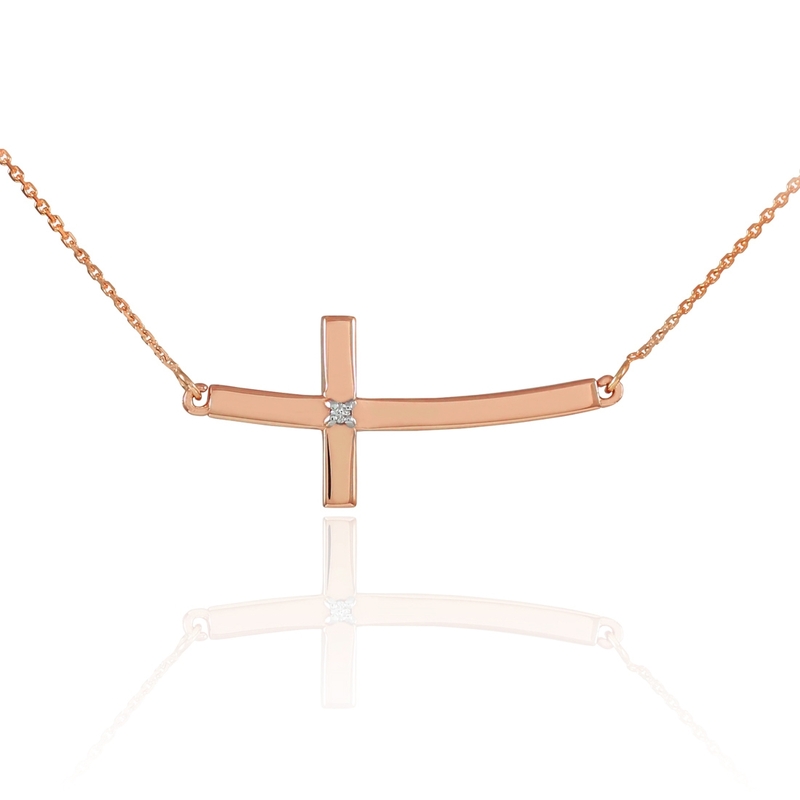 Choose from the standard yellow gold, white gold, or rose gold metal as well as he metal purity (10k or 14k) on most products.